It’s Sunday football this week at the Turf with Arsenal our visitors, the game having been put back almost 24 hours because of their involvement in the Europa League. It’s our fourth Sunday game of the season. We drew at Wembley against Spurs back in August, beat Crystal Palace at home in the next game and then, last month, beat Everton at Goodison Park. Arsenal are the first of the top six, those teams currently above us in the table, to visit us this season having played four of them away and this, above all the others, is perhaps one Burnley fans would love to win. They are the only one of that top group of clubs we are still to beat in the Premier League while I think most fair minded people would consider that we owe them one after the travesties in the games against them last season. We wouldn’t have won either game, but we’d have got two draws rather than two defeats but for some dreadful stoppage time decisions from the officials, one of the assistants and referee Craig Pawson in the home game and one of the assistants at Emirates. It’s a long time since we beat Arsenal other than the League Cup game in 2008 when two Kevin McDonald goals gave us a 2-0 win against them. Other than that, we have to go back to a 1-0 win at Highbury in 1974/75 when Peter Noble scored the winner, while the last home league win against them came in the previous season. We beat them on that occasion 2-1 with our goals scored in the second half by Ray Hankin and Colin Waldron after John Radford had given the Gunners an early lead. I don’t think any of us, other than those Burnley fans with glassed overflowing, let alone half full, would have expected us to go into the game level with them on points but that’s the current situation and, with today’s results, a much overdue win against them would take us into fourth place in the table. The players won’t have their heads in the clouds, that’s for sure. Manager Sean Dyche will ensure they have their feet firmly on the ground as we go into this tough game looking for more points and potentially another clean sheet. When Tom Heaton went down injured in the 1-0 win against Palace earlier in the season, I think there was concern everywhere with rookie goalkeeper Nick Pope firstly coming on as a substitute and then becoming the first choice goalkeeper for what could be a considerable period of time. He conceded three goals in the away defeat against Manchester City but, incredibly, in just short of eight more games he’s conceded only two more, one at Liverpool and the other in the home game against West Ham, both games ending in 1-1 draws. Pope will be making his 10th Premier League appearance tomorrow in Heaton’s continued absence, the captain forced to watch the game with the two other injured players Dean Marney and Jon Walters, although there has been some good news regarding those two this week. Everyone else is fit and that includes striker Chris Wood who was left out last week because of the travelling he’d done, returning from Peru after New Zealand’s World Cup exit only the day before the game. He’s certainly going to be part of the squad tomorrow. The big question to answer is whether he’ll come straight back into the starting line up or whether Dyche will stick with Ashley Barnes who had such a good game last week and scored his first goal of the season. I think the most likely is that Barnes will retain his place in what I expect to be an unchanged team from the one that beat Swansea last Saturday. If so, we’ll line up: Nick Pope, Matt Lowton, James Tarkowski, Ben Mee, Stephen Ward, Johann Berg Gudmundsson, Steven Defour, Jack Cork, Robbie Brady, Jeff Hendrick, Ashley Barnes. Subs from: Anders Lindegaard, Phil Bardsley, Kevin Long, Charlie Taylor, Ashley Westwood, Scott Arfield, Sam Vokes, Chris Wood, Nahki Wells. Arsenal were beaten 1-0 by Köln in Germany on Thursday in their Europa League game and that’s significant given that they’d qualified for the Champions League for the previous two decades. However, last season they finished fifth in the Premier League, losing out to Chelsea, Spurs, Manchester City and Liverpool who won the Champions League places. You would think they were in crisis given some of the reports and the reaction of some supporters although I think they’d every right to react to the comments from chairman Sir Chips Keswick at the recent AGM. Manager Arsène Wenger rescued things at that meeting, but he’s certainly been a manager under pressure from those fans who have not seen their team win the Premier League since 2004 when they went the entire season without defeat. Even so, they are a team with some real quality and that shone through last week when they beat Spurs in the North London derby. Wenger is likely to revert to a line up similar to that which beat Spurs and they have very few injury problems. Santi Cazorla is a long term injury victim while Theo Walcott won’t be ready to return after a bout of illness. Danny Welbeck, the other player considered doubtful, is fit. Shkodran Mustafi and Alexis Sánchez scored the goals against Spurs when they lined up: Petr Cech, Laurent Koscielny, Shkodran Mustafi, Nacho Monreal, Hector Bellerin, Aaron Ramsey, Granit Xhaka, Sead Kolasinac, Mesut Ӧzil, Alexis Sánchez, Alexandre Lacazette. Subs: David Ospina, Per Mertesacker, Jack Wilshere, Alex Iwobi, Ainsley Maitland-Niles, Francis Coquelin, Danny Welbeck. We’d just moved into October last year and a 2-0 Monday night win against Watford had lifted us into 13th place in the table with seven points from the first six games of the season. A win would have lifted us into 9th place but this game ended in defeat because of referee Craig Pawson missing a blatant handball in the third minute of stoppage time. For ninety minutes plus we’d been excellent. We’d reduced Arsenal to nothing but scraps and it was us who had the better chances in the game and looked the more likely winners. The one big chance in the first half saw Sam Vokes head wide from a Matt Lowton cross while there was not much between the sides after the break with half chances falling to both. Our best effort of the half came from the impressive Johann Berg Gudmundsson who forced Petr Cech into a good save from a header. Embed from Getty ImagesBut the game looked destined to end 0-0 when the fourth official held up the board to signal two extra minutes. As that second minute completed, Arsenal were just about to take a corner which they were rightly allowed to take. Theo Walcott headed it on and Laurent Koscielny turned it home from close range at the far post. He did so with his hand, so for that reason alone the goal should not have stood, and when Alex Oxlade-Chamberlain admitted he’d got a touch on the ball it also meant the goalscorer was offside. 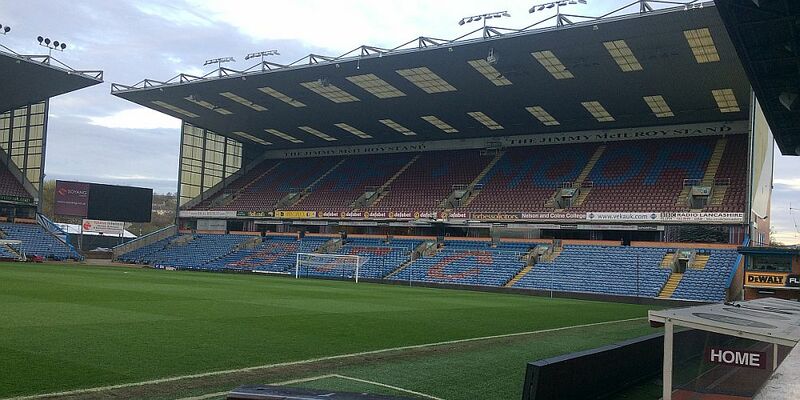 Burnley: Tom Heaton, Matt Lowton, Michael Keane, Ben Mee, Stephen Ward, Johann Berg Gudmundsson, Jeff Hendrick, Dean Marney, Steven Defour (Scott Arfield 62), George Boyd, Sam Vokes. Subs not used: Paul Robinson, Jon Flanagan, James Tarkowski, Aiden O’Neill, Michael Kightly, Patrick Bamford. Arsenal: Petr Cech, Hector Bellerin, Shkodran Mustapha, Laurent Koscielny, Nacho Monreal, Santi Cazorla, Granit Xhaka (Mohamed Elneny 71), Theo Walcott, Mesut Ӧzil, Alex Iwobi (Alex Oxlade-Chamberlain 71), Alexis Sánchez. Subs not used: David Ospina, Rob Holding, Kieran Gibbs, Gabriel, Jeff Reine-Adelaide.